Of the many directorates within the EU, there are two of particular relevance to Pacific nations wanting to export tuna to Europe. These are the DG Sante, which sets the compliance standards and rules for Health and Food Safety, and DG Mare, governing Maritime/Fisheries standards and compliance codes. The confirmation milestone this month covers the DG Sante standards, where ensuring fish exports meet the EU sanitary requirements includes a so-called ‘competent authority’. In the case of Kiribati this is a Division in the Ministry of Fisheries and Marine Resource Development. Over the last three years, the Ministry ensured its competent authority worked hard and diligently to set up the systems needed. 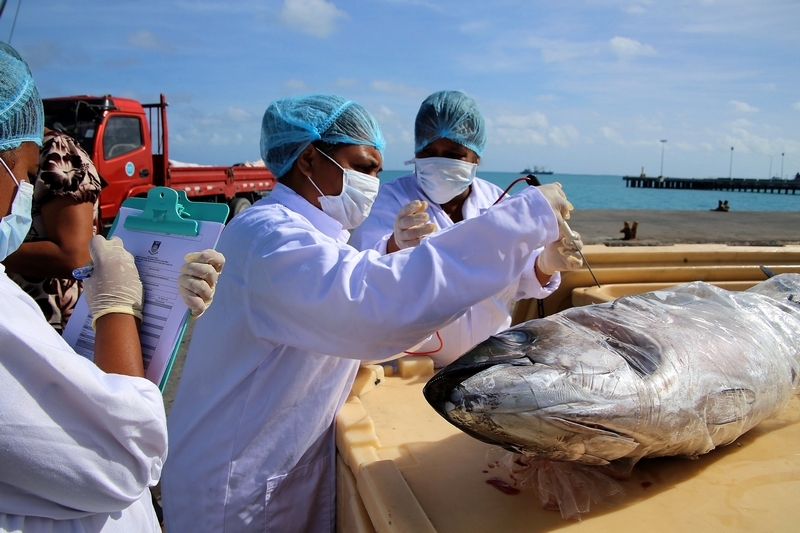 These include regular inspections of Kiribati fishing vessels and the country’s only tuna processing plant; as well as a programme of taking samples from fish exports, which must be sent overseas for laboratory analysis. All processes must be rigorously documented, so that fish exports can be traced back from the buyer in Europe to the origin in Kiribati. New legislation and standards had to be put in place, as well as training of the Competent Authority staff. The next step in the process will be the listing, on an EU website, of the Kiribati vessels and factories that meet EU requirements. One more hurdle remains for the authorities in Tarawa. Kiribati must also be listed, by the DG Mare, as a country that is fully compliant with the EU’s IUU Regulations ensuring fish exports to Europe are properly documented and caught legally. Photo 1: Tetabo Nakara, Minister of Fisheries and Marine Resources Development, at the recently ended UN Oceans Conference at the UNHQ.